What to address with your venue before your meeting kicks off. If the devil is in the details, it’s even more important to consider the technological details that can make or break your meeting. But how do you know what to even consider? These questions will get you started—and the answers will guide you to a well-executed event. 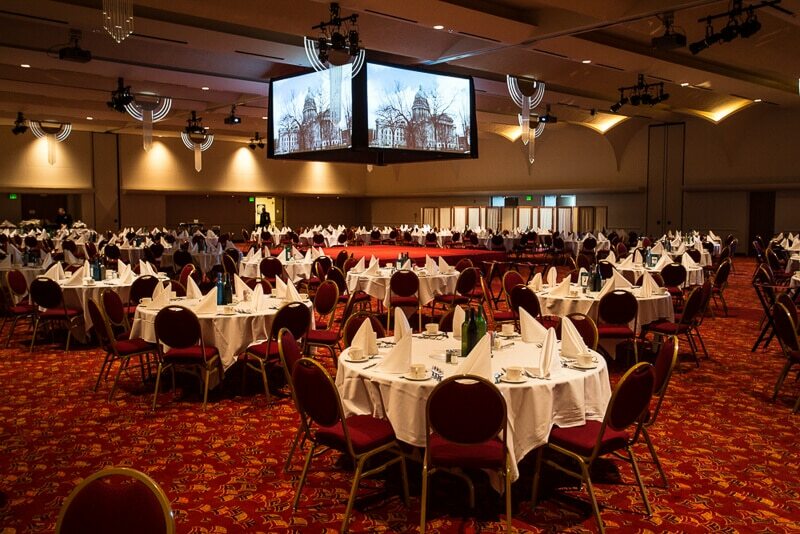 Will your attendees need room to use their laptops and tablets? If so, they usually want to put their devices on a table. Therefore, classroom-style or round tables would be better than theater seating, which is chairs only. Is the venue’s lighting ample enough for attendees to take photos and share them on social media? Most modern devices, such as iPhones, adjust well for low-light photos. But adding some theatrical lighting fixtures that focus on the stage enhances the look of the room, both for your live audience members and also for the photos they take. Are there ample enough outlets and are they close enough for attendees to use and share? For many high-tech events where people will be using their devices, more sophisticated venues offer “power to seating,” which means that power is placed on conference tables. This way, multiple people can simultaneously power and charge their devices. If your event has special technical needs, such as higher voltage power for network connections in multiple places, make sure you find out what kinds of utilities are available and where they are located. Video projectors come with different kinds of lenses, including some that decrease the distance from the projector to the screen, which allows for more seating—especially helpful in tight meeting spaces. A qualified audio-visual technician can discuss your options and ensure that the ceiling is high enough for the size of the video screen you need or if your room can accommodate rear-screen projection, which helps keep the noise of the projector behind the screen. The tech will also help you plan around any potential obstructions, such as chandeliers or columns. And speaking of equipment, make sure that you think about how much space it will take. 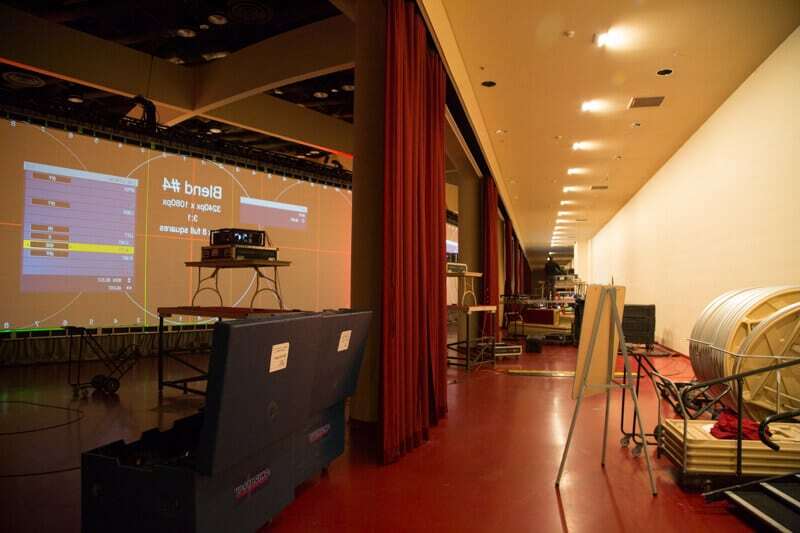 Book a room large enough to hold all of your technical gear and attendees. Will you need video cameras for recording, web streaming or live video on in-room screens? If so, you’ll want to make sure that you achieve broadcast quality video. Ensure that the cameras are elevated above people’s heads by placing cameras on platforms or small stages. 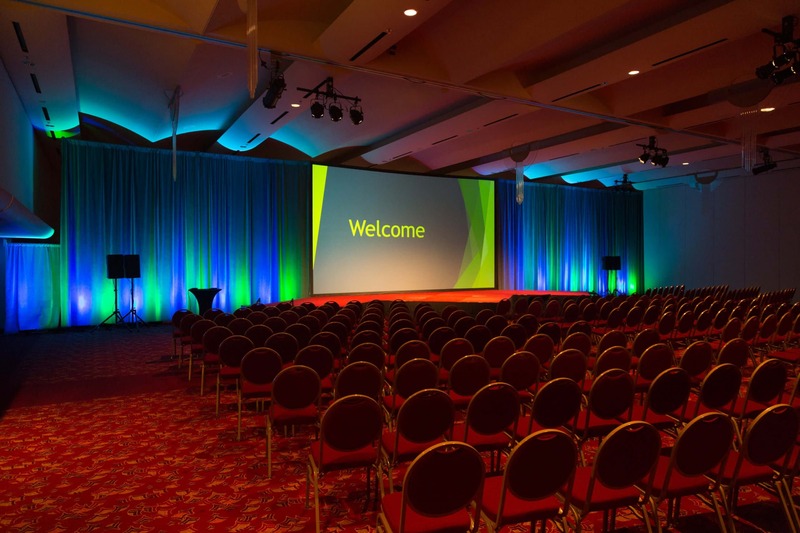 If your event is technologically complicated—even a little bit—insist on working with a venue with qualified audio-visual technicians on staff. They will know how to operate complex equipment and help you think through the details. That’s why they’re there.